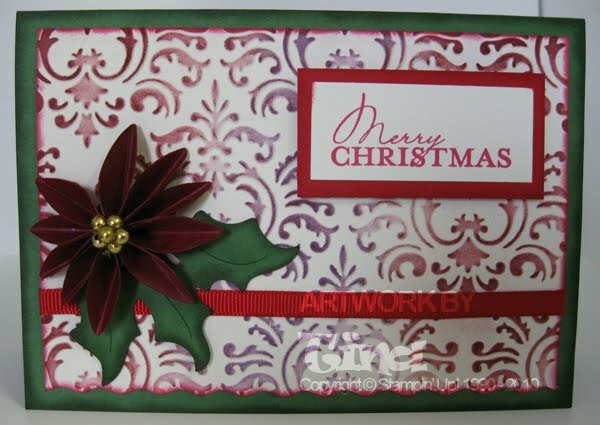 The Christmas Cocoa Specialty Designer Series Paper pack is only available in this bundle, it's not in the current catalogue. 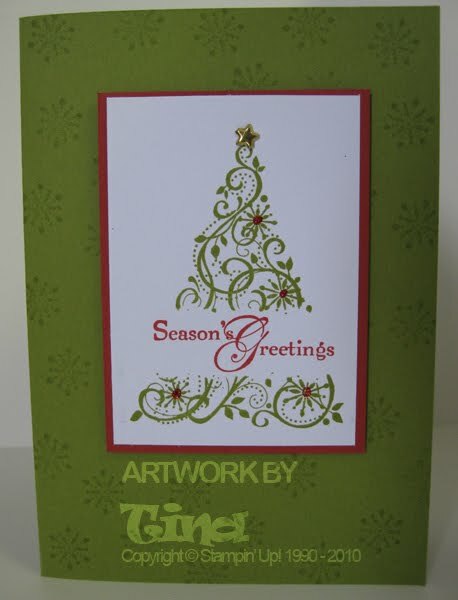 It contains 12 sheets of paper, 4 of which are flocked (2 designs, 2 of each), so a different feel to the normal paper. 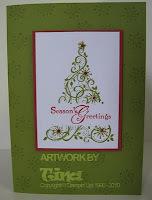 Contact me today to place your order or to book into a Christmas card class. 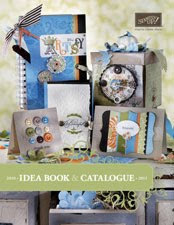 Stampin Up has released the new 2010-2011 Idea Book and Catalogue, with lots of new products, new colours and accessories. You can look at it here: 2010-2011 Idea Book and Catalogue. On that same page you'll also find the Colour Renovation Colour Kits flyer with a range of different packages of ink pads, cardstock, markers and other products in the new colours. You can also download the Supplies list, which lists what products were used for the various projects in the Idea Book and Catalogue. If you would like your own copy, you can pick one up from me for $10 or I can mail you a copy for $15. 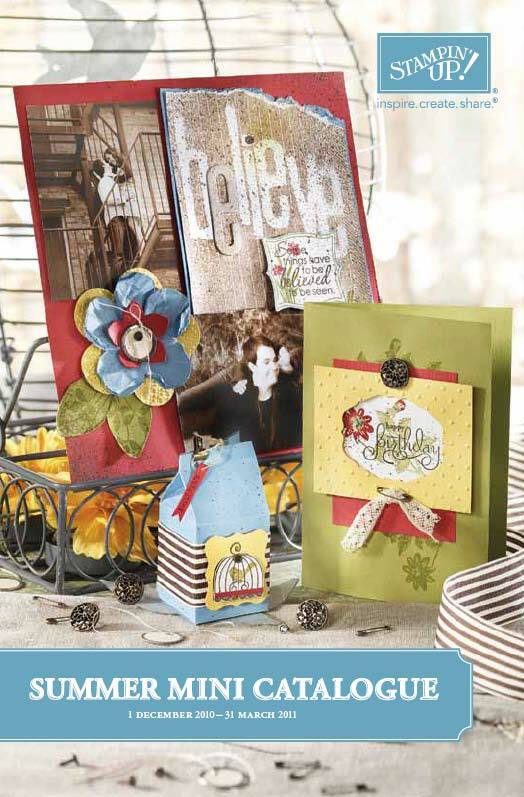 During July Stampin' Up Australia are taking 20% off these two step stamp sets. Last week was punches, this week it's selected Designer Series Paper - each pack has 12 sheets of 12 x 12 double sided paper, 2 of each design. The catalogue lists the cardstock colours that coordinate. 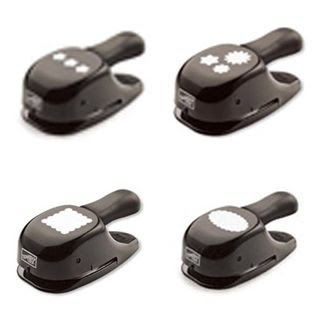 For stampers living locally to me, I'll wait until the 14th to place the order to save on postage. 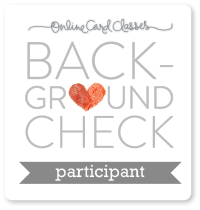 For long distance orders, postage is 5% of the order, with a minimum postage charge of $5.95. Contact me to place your orders! Throughout the month of June, we are bringing you a new deal every week! With the Deals of the Week, you’ll get up to 50 percent off a selection of products from the 2009-2010 Idea Book & Catalogue! You can contact me to place your orders, you’ll need to get them in by June 8th to receive the discount. 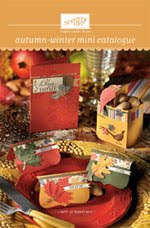 Autumn-Winter Mini Catalogue Blog Hop! Good Morning everyone! I've finally taken the plunge and joined in a blog hop! I hope you’re ready for the ESAD Blog Hop! Better go grab yourself a cuppa as you’ll be hopping for a while! 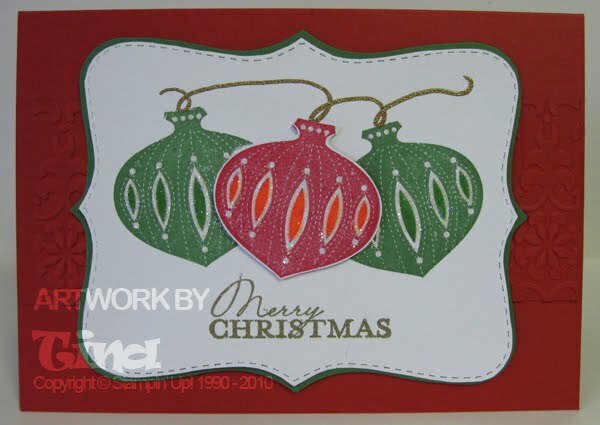 ESAD stands for Extra Special Australian (and New Zealand) Demonstrators and it is an online group just for Australian and New Zealand demonstrators for Stampin’ Up! If you are following the blog hop, you would have come here from the fabulous Teresa Leggo's blog and if you leave comments along the way you could be in the running to win some blog candy. 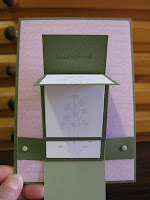 It’a another waterfall card, this time using the new Cottage Garden set from the Autumn-Winter mini catalogue. Other: Stampin’ Up! Perfect Polka Dots Textured Impressions Embossing Folder, Whisper White grosgrain ribbon, Antique Brass brads. If you don’t know how to create a waterfall card, here’s a great tutorial on it. 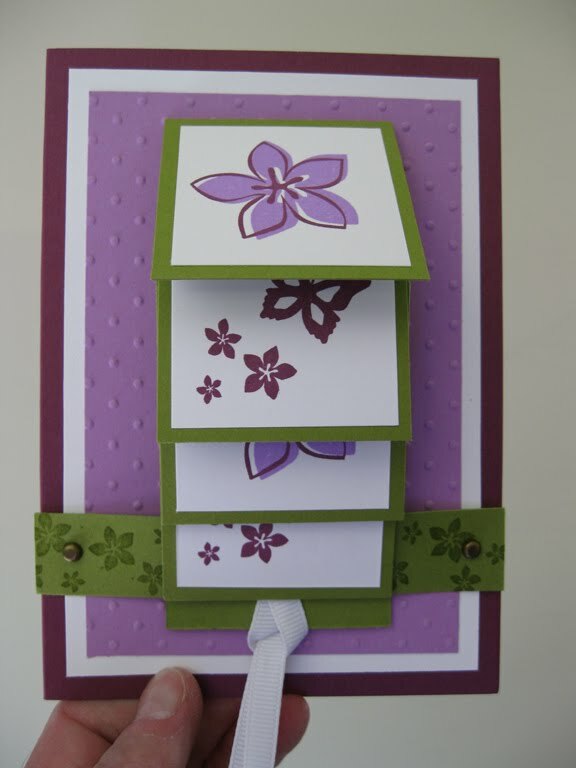 For my card base I used an A5 piece of one of the new In Colours – Rich Razzleberry, which is just gorgeous. This is scored and folded in half to make the base. On top of that is a piece of Whisper white – 95 x 138 mm. 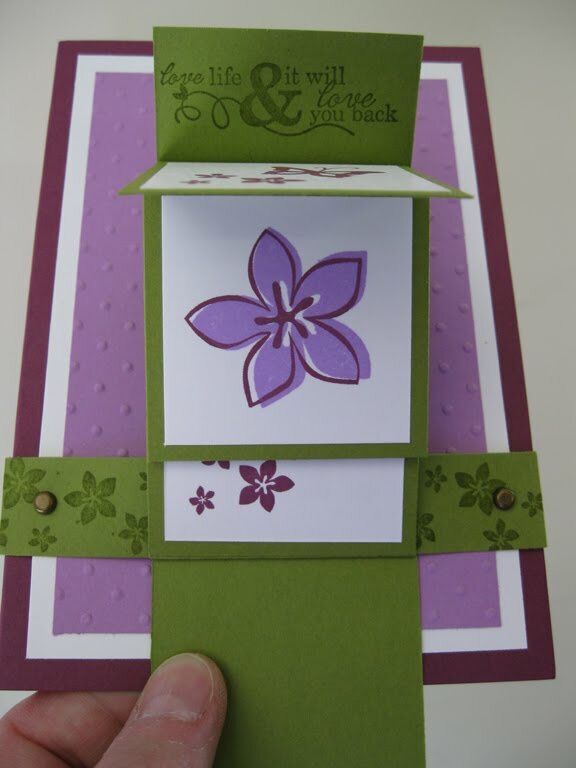 Next, a piece of Orchid Opulence, 85 x 128 mm is put through the Big Shot machine using the Perfect Polka Dots embossing folder. For the waterfall piece I used Old Olive Cardstock using the measurements in the tutorial and the images were stamped on 1 ¾” sqares of Whisper White, which were then matted onto 2” square pieces of Old Olive cardstock. 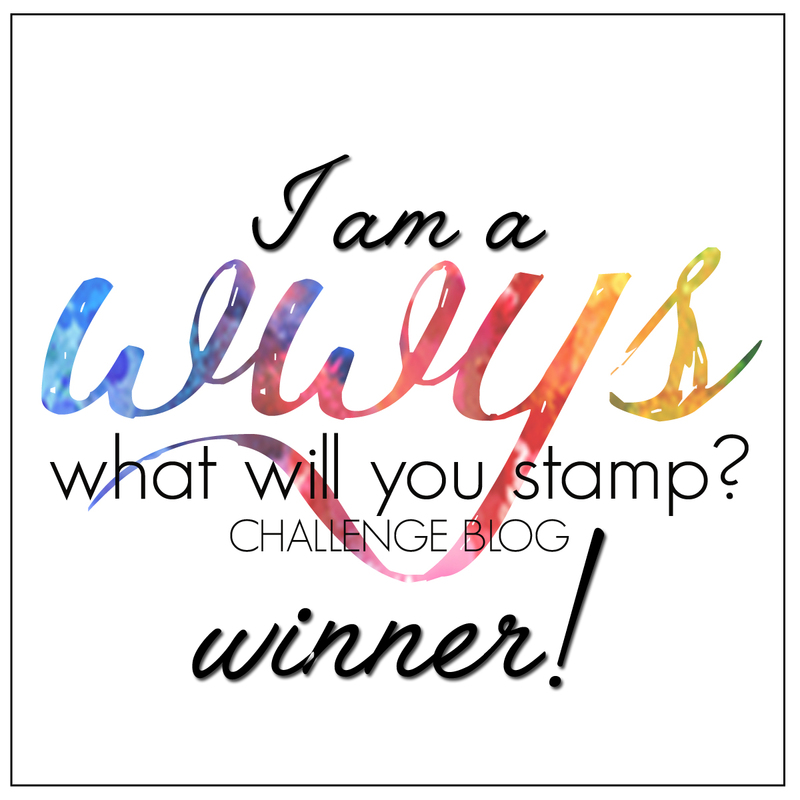 Remember, if you leave a comment on every blog in the blog hop, and then email Sharlene at stampwithsharlene@hotmail.com to say you’ve done that, then you go in the draw to win some blog candy. There will be one winner from New Zealand and one winner from Australia. Please note, Stampin' Up! Demonstrators are not eligible to win the Blog Candy. The next stop on the blog hop is the talented Kristine Thompson’s blog. Happy hopping! 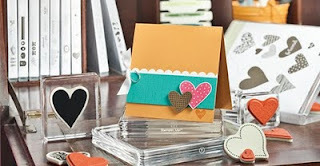 And, 3 new In Colours, available in cardstock, stamp pads and refills, and gorgeous polka dot ribbon. 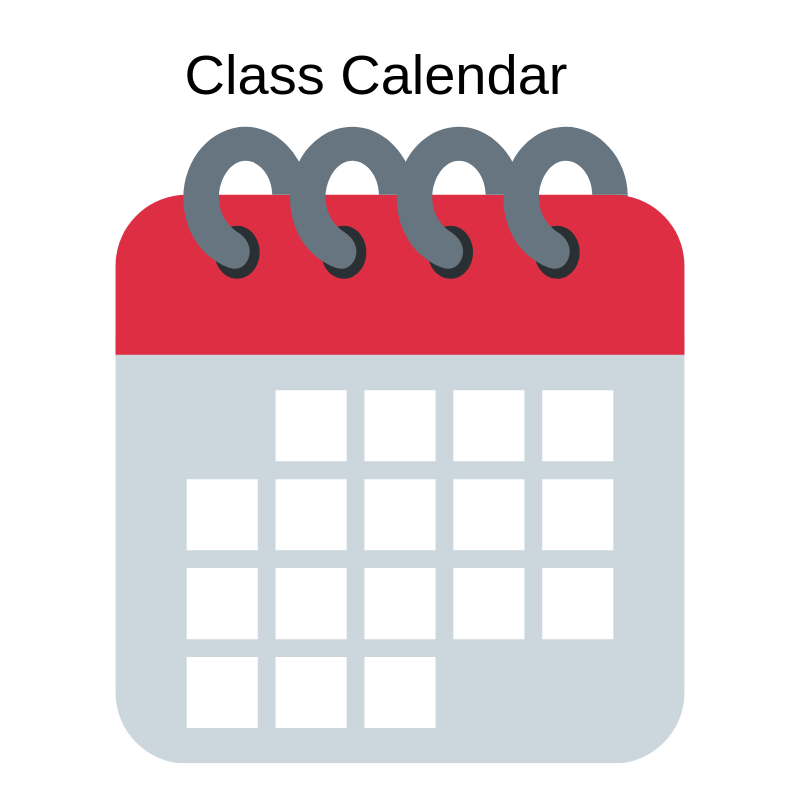 Click on the image of the catalogue above and browse through it online. 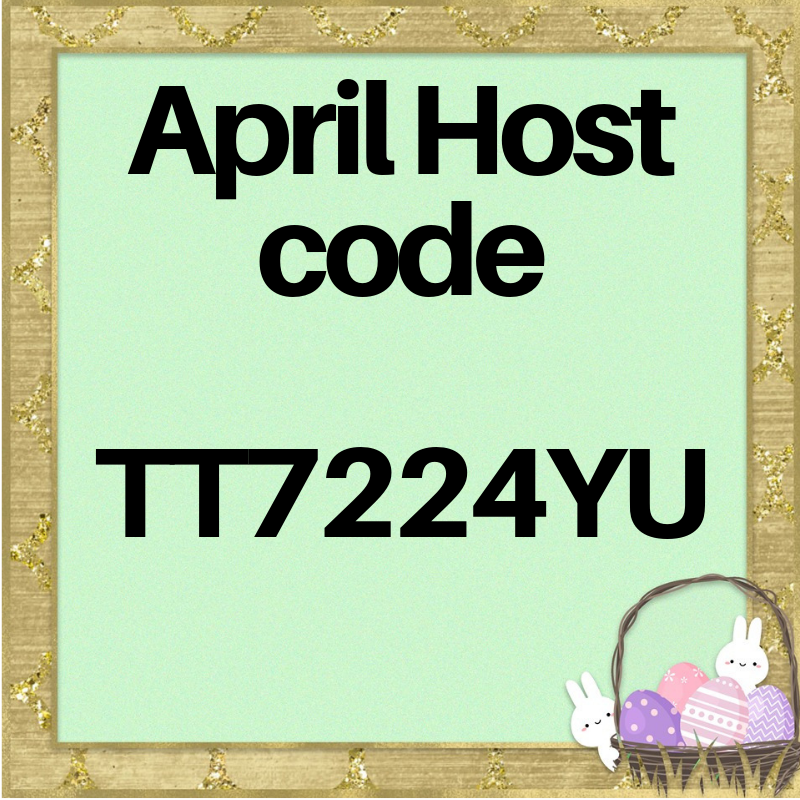 Be sure to come back to this blog on April 7, as I'll be joining in a blog hop, where I'll show one of my creations using the new products, and then link you to another blog in a chain, where you can see more creations. Wow, it's been a long time since I updated this blog. Sorry for being MIA for so long.